In Year 9 your son will complete two projects. The projects aim to build on your son’s experience in Year 7 and 8 and prepare him for the possibility of studying Art at GCSE. 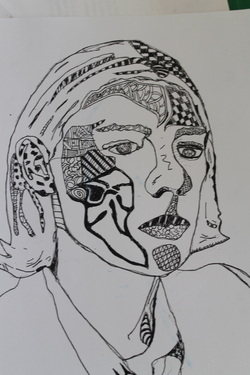 The Self-Portraiture unit is used as a catalyst for the GSCE Art and Design coursework (worth 60% of the grade). During both projects there will be an emphasis on key drawing skills and opportunities to experience a wide range of media, including painting and art/design in ICT.